Meal planning has become quite an obsession for me. 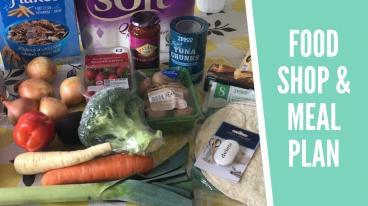 Not only have a found I’m saving a lot of money by doing so, but I’m also trying out lots of new recipes. 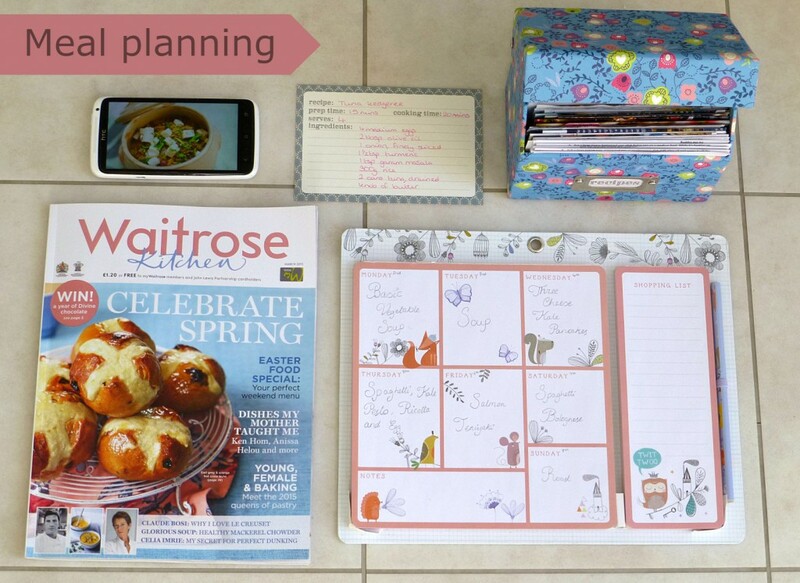 I’ve started planning two weeks ahead as I get excited by all the recipes I find. 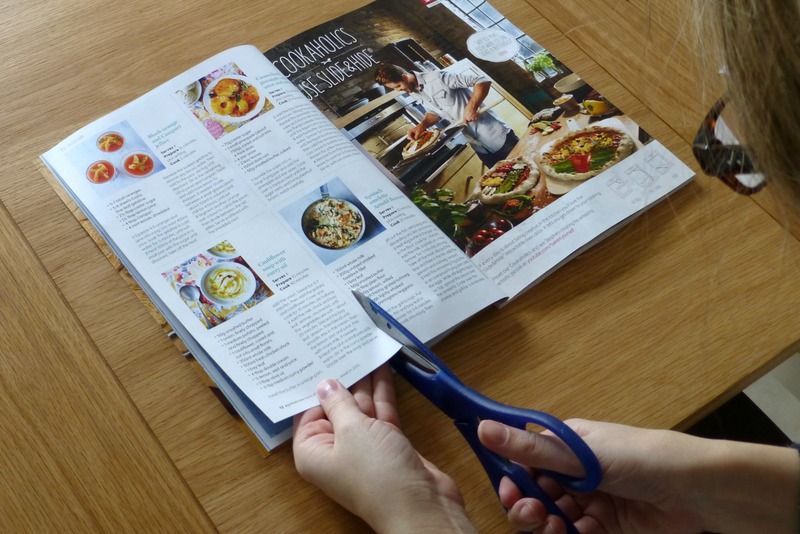 Each weekend I sit down with any new foodie magazines and leaflets from supermarkets I’ve picked up, my phone, and my recipe box. I see what meals I’ve pinned and any that I’ve found on YouTube, like this delicious looking one pot orzo with lamb dish by SORTED Food. 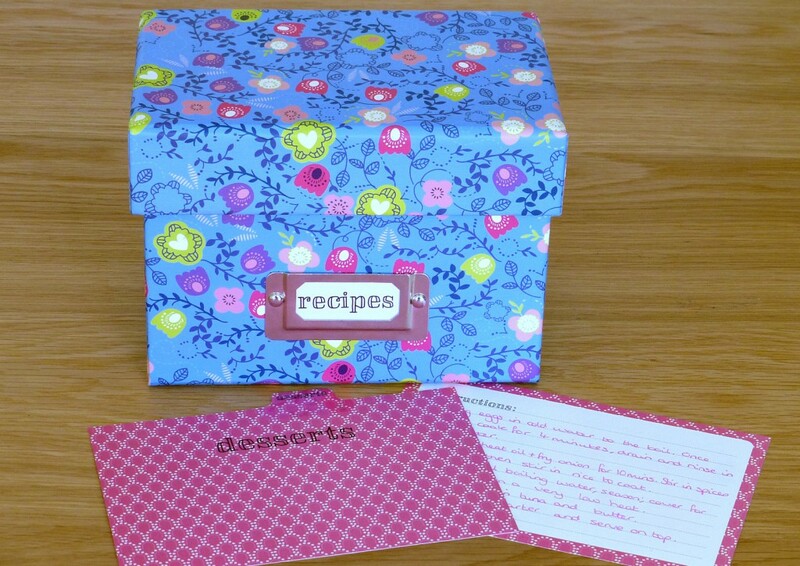 I cut out recipes from magazines and put them in this cute recipe box from Paperchase. I got this one awhile ago but they have similar ones. I prefer a box as I can take out and reorder the cards and also put the ones for the week on the fridge so I have them to hand when I need them. Recipes only get written up onto a recipe card if they’re a success and I want to do them again. I hope this way that in a few years I will have a collection of truly loved recipes. When it comes to planning I flick through the box and see what catches my eye, then try and match ingredients so I don’t waste anything. I’ve been trying to keep to Meatless Mondays, so this week we had a vegetable soup. I found this basic veg soup recipe on a post it note in the bottom of an old handbag so I have no idea where it’s come from. I just doubled the recipe so it would cover Tuesday too, which means I don’t need to cook again. I found a recipe card in Waitrose for three cheese kale pancakes, and most of the ingredients were reduced in store so I added them to my basket. I knew I would have extra ricotta and kale from that dish, so I had to find something that will use those up the next day. There’s a very good reason I write up my plan in pencil and that’s because life gets in the way! I wanted to go to Ikea so that ruled out one nights dinner as it was an after work trip. Bye bye kale pesto and ricotta, but hello adding kale to the morning smoothie = happy Debbie!